Hannon Jewelers also can be your expert in separating diamonds, gemstones and jewelry for their quality, condition and value. Usually, this is a verbal appraisal process where we can be available to ours customer to answer all questions and provide expert advise on your valuables. The main difference between a verbal appraisal and our consultation service is that in our consultation service is that we are available for your questions and provide needed advise on your jewelry. We can provide gemological information in order to identify and authenticate the article submitted for evaluation. 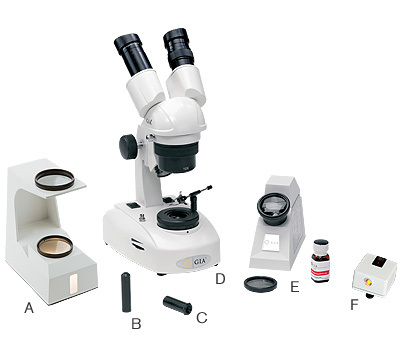 To this end, we will carefully examine, we will test it in our Accredited Laboratory. This Verbal Consultation service may be converted to a full size, extensively detailed appraisal report for the additional fee. Please contact us in advance for our consultation services. An Accredited Gem Laboratory® is a special designation awarded only to qualifying AGS member firms that have proven their dedication to professional gemological identification in accordance with the Membership Standards of the AGS. 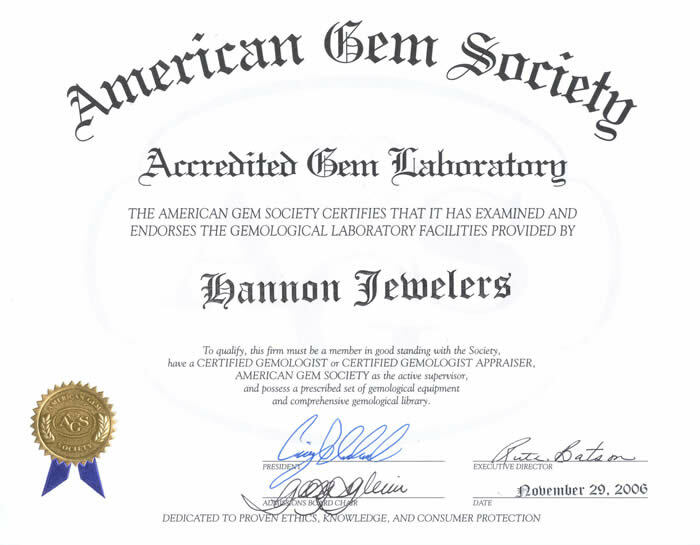 Hannon Jewelers Accredited Gem Laboratory contains gemological equipment and reference materials in a dedicated space for research and analytical purposes.